On Wednesday, March 4, 2015, Victaulic was recognized as the 2015 Top Workplace among large employers in the Lehigh Valley by The Morning Call newspaper. In addition to this honor, Victaulic was also presented with a special award for “Clued In Senior Management”. This acknowledgement was given to the organization whose employees most believed that senior management within their company exhibited value based leadership – caring about concerns while moving the business in the right direction. Both awards were based on the overwhelmingly positive responses of the Victaulic employees who work in our Lehigh Valley facilities. Representatives from Customer Care, Engineering, Finance, IT, Legal, Marketing, and Operations attended the event and accepted the awards on behalf of the organization. The Top Workplaces Program is based on one simple belief, “the most successful companies are the ones that employees believe in”. We are proud that our employees feel inspired and are given the room to do great things. 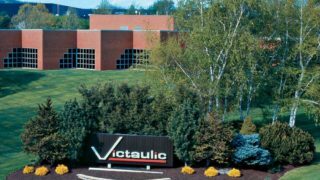 Victaulic is truly an exceptional place to work because of the dedication of our employees towards our groove pipe joining products & fire protection piping systems, as well as and the passion for customer excellence that is shared across the entire organization. To learn more about this latest award win, read more at The Morning Call.